We are a distributor, fabricator, and service provider of stock and custom industrial parts. 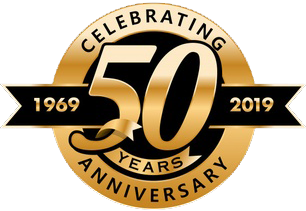 You may not know who we are until you have an issue, but we have been building lasting relationships for over 50 years. Our reputation for excellent customer service and expertise gives our customers peace of mind, knowing they can always get what they want, when they need it. After all these years, our passion is still the same… we want to be your source for solutions! We have a passion to find the answer to your issue. On the rare occasion we can’t find it, we’ll even point you in the right direction. Two local entrepreneurs and partners, Harold Flynn and Jack Marcy, founded the company in 1969. FLN-MAR originally served the paper industry. Today, our company’s products are found in paper mills, corrugated box manufacturers, specialty paper producers, food and dairy processors and a wide range of general industry, both locally and worldwide.